has allowed the human race to survive, thrive and build cities, and farming is still a profession that occupies a large part of the world. Since the earliest of civilizations, agriculture has undergone significant improvements. In comparison to cultivating our own food and livestock, modern agriculture has given us higher yields and extra time to put in into development of other enjoyable and needed products such as phones, computers, automobiles, etc. BUT. We are seeing a compelling shift. Simply stated, more and more people are interested in locally grown food and produce. We’ve seen fundamental behavior changes away from big packaged mass-produced foods to locally grown, artisanal and highly nutritious options. As technology improves even further, the next step in agricultural revolution is growing quality food locally and sustainably on a mass scale. With the rise in environmental consciousness and population growth, controlled environment agriculture (CEA) a.k.a. indoor growing, may be the perfect answer and the next logical step in addressing the latest paradigm shift sustainably. 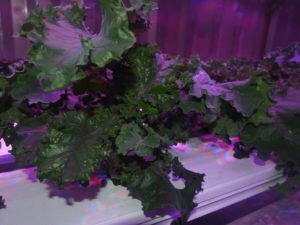 At Vertical Harvest Hydroponics (VHH), we’ve been experimenting with indoor, hydroponic (soil less) growing inside repurposed shipping containers. We are a company based in Anchorage, Alaska and our goal has been to design smart farming opportunities for the north and remote areas. We use modern technologies and apply it to an ancient practice of traditional farming in order to benefit communities. We are very motivated and excited by the current health trends in this country and our goal is to be a part of the effort on providing and promoting sustainable and healthy living, to everyone, regardless of their geographical location. is housed inside a 40’ insulated shipping container. Why shipping containers? Simply, this design gives us the biggest flexibility of location. 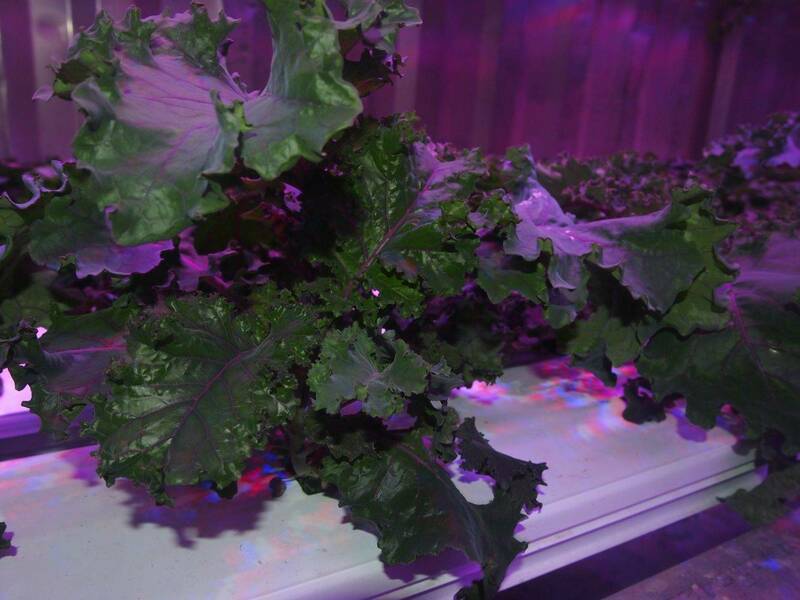 This is a turnkey system that allows anyone to grow leafy greens and herbs anywhere, year round. How would you like to see these greens grown right in your community? It is estimated that 2/3 of all the produce we eat can be grown indoors. Imagine the possibilities! 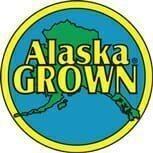 At VHH we believe that Alaska is one of the states that can benefit the most from a reliable internal food source – thus we must be on the forefront of the “growing local” movement. While our primary business model is to manufacture growing systems, we will continue experimenting to help with advancing the indoor growing techniques and to promote locally grown food. Questions, comments? Please send them our way! Alaska needs food independence. This is wonderful to see. We have the land, we have the water,……..lord knows we have the shipping containers. Keep up the good work team. This should be an Alaska priority. Thanks, we appreciate your support! If you get a chance, please share the post. Happy New Year! I do prefer to eat food that is grown locally and responsibly. It’s really interesting that people can grow things without soil and indoors through hydroponics. Does it only work for greens and herbs like this? I can see why this would be really useful for people with a shorter growing season. Thanks for your comment. Right now the current design allows virtually any culinary herb or leafy green to be grown in the system economically. We’ll be doing R&D to create systems that allow for flowering plants like tomatoes or berries to grow. The biggest thing with these systems is it has to be an economically/commercially viable option, as most use it as a business. So research and tailoring the design just right are big components.